Dance is the expression of emotions, feelings and opinions through the movement and manipulation of the body. Dance very often finds itself in the form of telling a story or conveying emotion through choreography. Dancing is a great form of exercise, while it allows a scholar to emote through it, there is also a sharp focus on the balance and posture of the dancer. Expressions, story-telling, relaxation and discipline are only a few of the skills that dancers benefit from, besides gaining knowledge of various cultures through dance. 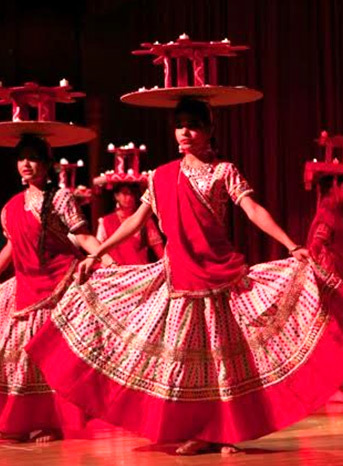 At Genesis students are given the choice to learn Western and Indian Classical dance forms. They learn and perform various folk dances and also participate in various dance competitions organised in the school and outside.